American Petroleum Institute, the only one oil industry which associate involving U.S. oil and gas industry in various fields. Nowadays, there are more than 400 domestic exiting members in the enterprise, it representatives the pursuit of public policy objectives and priorities for the industry as a whole benefits for the oil and gas industry provides a standardized for all enterprises. API was is the first worldwide standard. The main functions of the association include advocacy and negotiation with the government, the legal profession and regulatory agencies; study the economic impact of the industry on the environment and to establish industry standards and certification, and for outreach, education and publicity. API funded and conducted a number of studies and oil-related industries. Develop harmonized standards of API is the oldest and one of the most successful projects since 1924 began publishing the first one standard, API has now released the 500 standards. 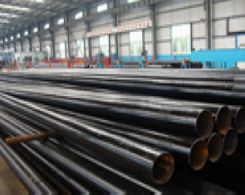 API is an ANSI accredited standards development organization, which follows the ANSI standards coordination and development of procedural guidelines, API also jointly develop and publish standards and ASTM, in addition, API suitable for the global industry to participate actively in the formulation of the ISO standard is ISO/TC671SC9 wellhead equipment and pipeline valve Secretariat. 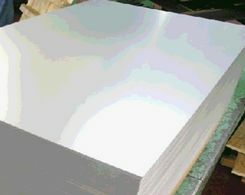 API standards are widely used, not only in domestic companies and are referenced by using federal and state laws and regulations and the U.S. Department of Transportation, the Department of Defense, the Occupational Safety and Health Administration, U.S. Customs, the Environmental Protection Agency, the U.S. Geological Survey and other government agencies, and also be referenced ISO, the International organization of Legal Metrology and more than 100 countries worldwide standard, its information technology standards, including oil and gas industry with EDI , communications and information technology applications and so on. API in the United States and in other countries around the world have enjoyed a high reputation, it is the United States Department of Commerce and the American Petroleum Machinery Trade Commission recognized certification bodies. The chemical and petroleum extraction machinery it developed technical standards are adopted in many countries, while in the Middle East, South America and Asia, many countries in the bidding oil machinery oil, generally require wear a symbol of API steel pipe products to be eligible to participate in the bidding. Thus, with the API logo petroleum machinery equipment is considered to be not only reliable but also has advanced level. At present, with members from all over the world in all aspects of exploration and production, transportation, refining and marketing included. 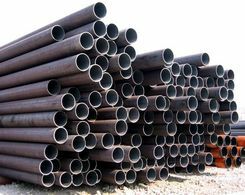 Today, API is famous for the API steel pipes and because the effect it has developed into not only in the United States, and more and more become an integral part of the world oil industry activities. Prev:What Is the Pipe Reducer?